I haven’t joined the poke (po kay) party as of yet, so I made my way to Poké Papa (spelled uniquely) in Chinatown to give it a go. I did enjoy my bowl of poke. I tried their Onolicious bowl – raw Ahi tuna, seaweed, lotus root and other colorful ingredients on rice. I added mango as an option, because it’s mango. 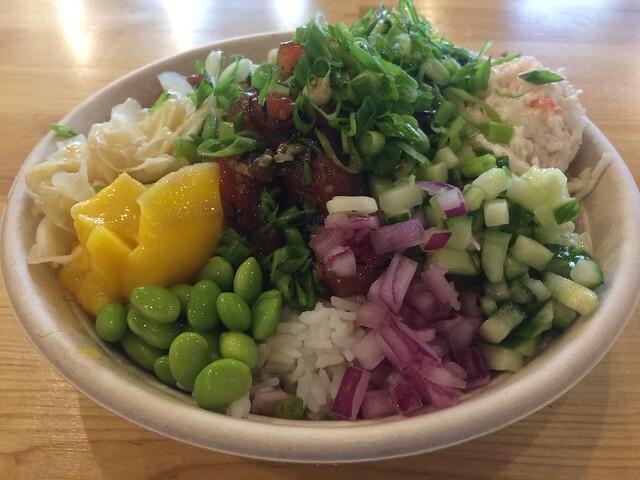 My biggest takeaway at Poké Papa, besides enjoying my first poke, is there are too many choices of ingredients to put on your dish. 20 or 25 options? I didn’t verify, but it was overwhelming, and how do you decide? That’s why I stuck with the already set dish and didn’t tinker much. 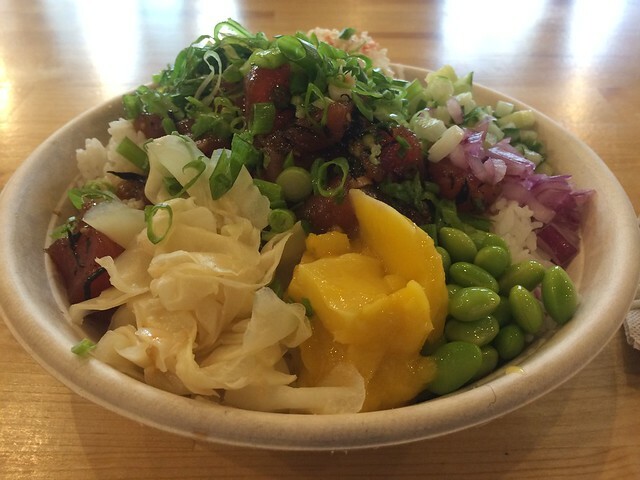 Will try some of the other new poke purveyors and see how this trend holds up!